Spring is on the horizon and you might be looking to freshen up your space! 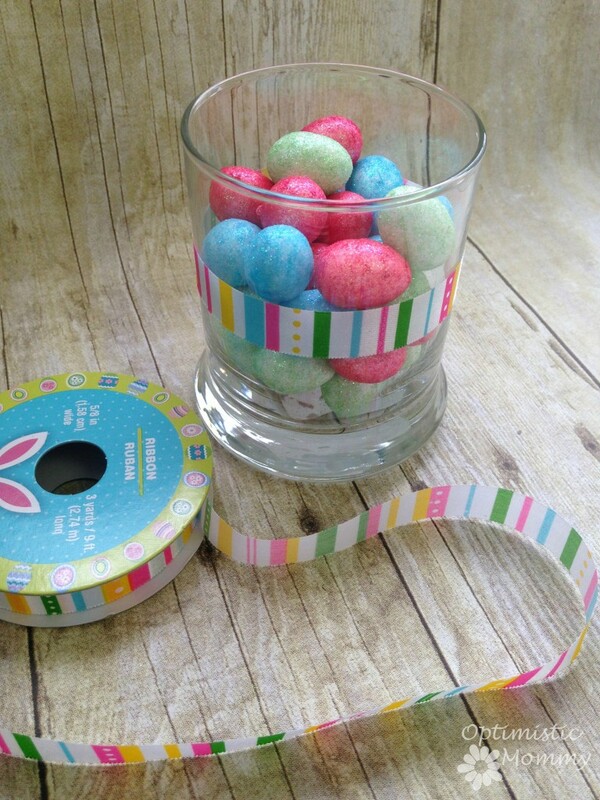 This easy Easter candle holder is a great way to do that, and you can craft one using supplies from your local Dollar Store! It is the perfect décor piece for your Easter table, or any spot where you can use some signs of spring. Here is how you can get started making your own! 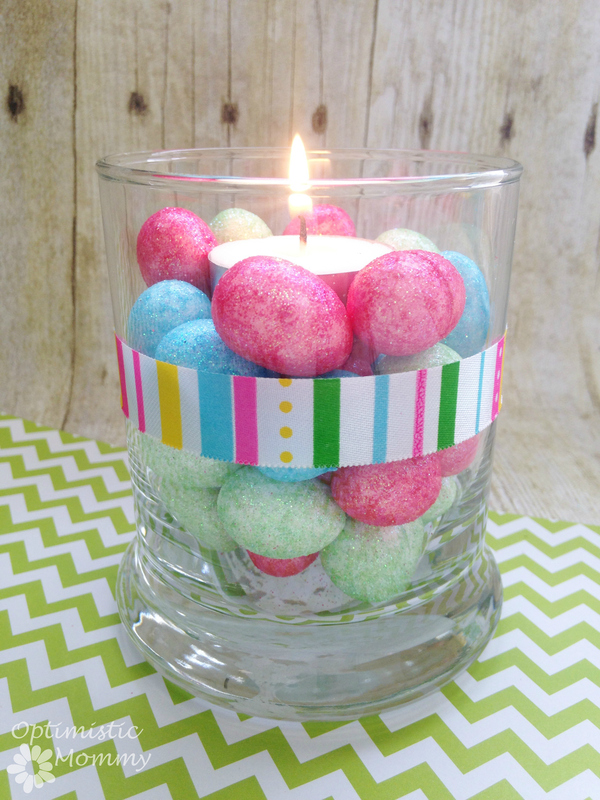 As mentioned, everything we needed for this Easter candle holder project was found at Dollar Tree, making it a frugal craft to enjoy this season! Begin by cutting a length of ribbon to fit around your candle holder. Wrap the ribbon around and secure with glue. Snip off any extra ribbon. 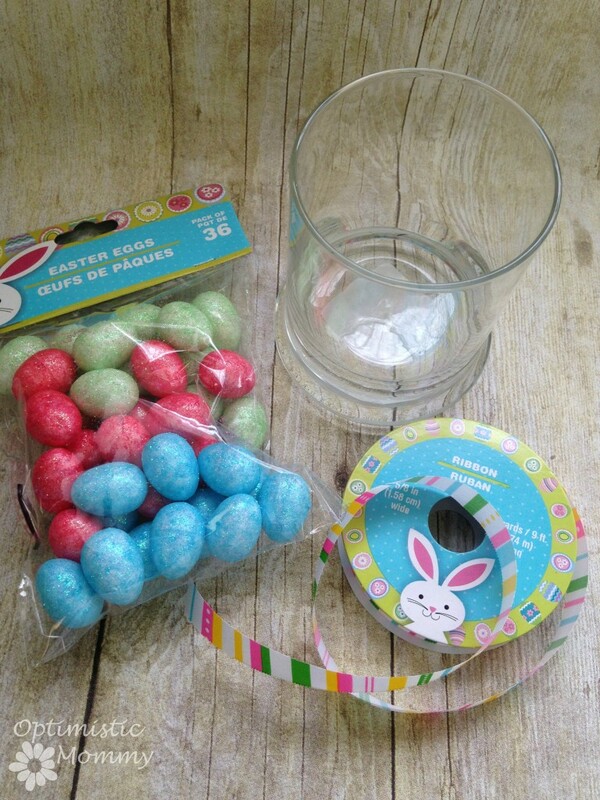 Fill the glass with the foam eggs. Fill the piece up about ¾ of the way. You can now settle your votive into place. Be sure it is clear of touching any of the eggs. If this seems to be a problem, remove a few. Light your votive (or turn it on) and enjoy! 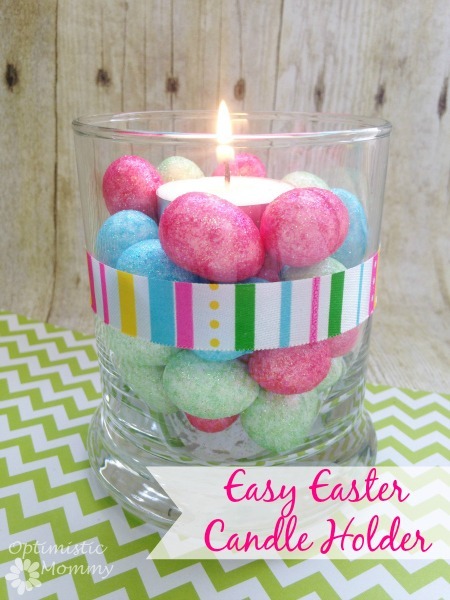 This Easter candle holder is a simple but sweet craft that is easy enough for anyone to enjoy. Gather your supplies and give one a try!